Taubman Centers, Inc. (NYSE:TCO) Taubman Centers, Inc. I have some very sad news to share with all of you, my father passed away this evening here in Bloomfield Hills. This company and all that you stand for were among the greatest joys of his life. 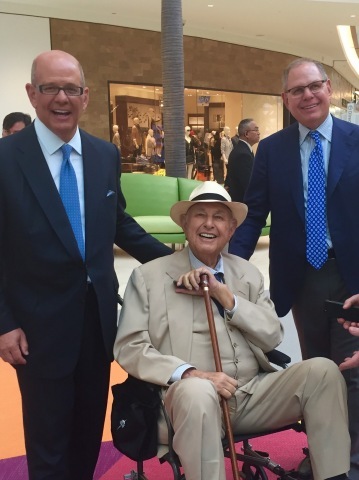 Just last month he was in Puerto Rico to celebrate with us the grand opening of The Mall of San Juan. He was so proud of what this wonderful company he founded 65 years ago has accomplished. Tonight, after dinner in his home, a heart attack took him from us, ending what was a full, extraordinary life that touched so many people in so many wonderful ways around the world. Right now it is difficult for me to express our sadness. We will be informing you of our memorial plans shortly. One thing that will never be taken from us is Alfred Taubman's vision that will continue to guide and inspire us. Our family thanks you for all your kind thoughts and support through this very difficult time.